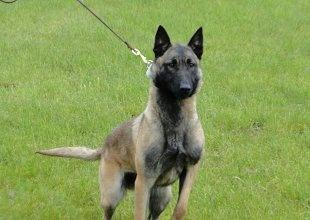 Cayla is a European imported Belgian Maliois female from KNPV, working Lines, FCI registered and AKC registered . Cayla is a daughter of Dackx Perle De Tourbiere. Like the rest of our dogs, she has a great pedigree that has dogs like, Klemm Vom Roten Falken. She is a confident, stable, clear headed dog that brings the fight when she has to. She is a large and powerful female. Photos & Video Coming Soon!